Spider mums, snapdragon, larkspur, astromeria lilies, cushion mums, in a paper Mache urn. 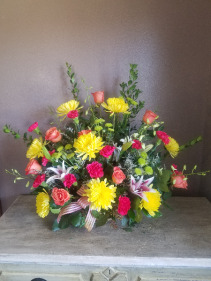 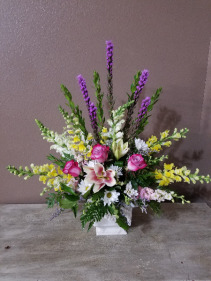 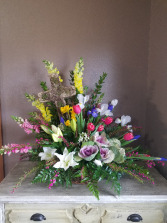 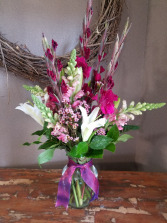 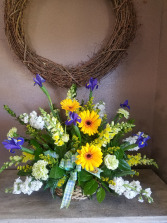 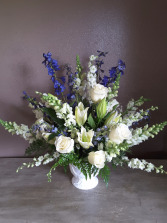 Snap dragon, tulips, iris, kale, oriental lilies, Burlap cross in large willow basket with mixed greens and filler flower. 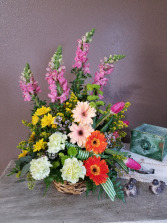 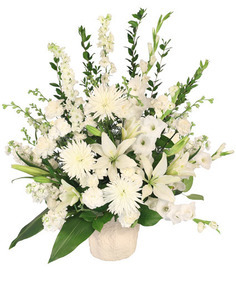 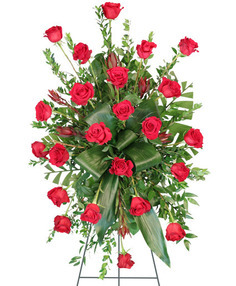 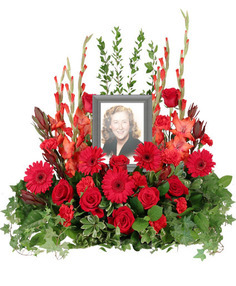 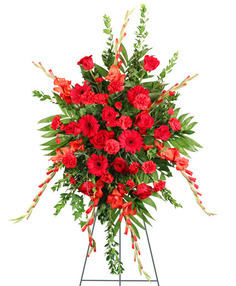 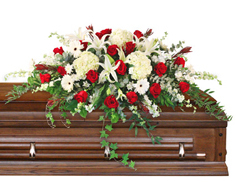 Snapdragon, gerber daisies, carnations, daisies, salidgo, button mums, tulips, wax flower and mixed greens in a basket. 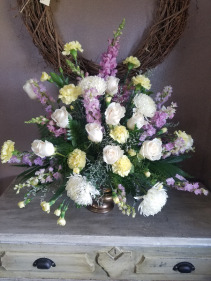 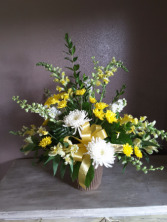 White roses, purple snaps, yellow carnations, white football mums, lavender lark, yellow mini carnations, lamonium and mixed greens.